Ramakrishna Mission Vivekananda Educational and Research Institute (formerly known as ‘Ramakrishna Mission Vivekananda University’) was established under the aegis of Ramakrishna Mission, having been declared by the Ministry of Human Resource Development (MHRD), Government of India, to be a ‘Deemed-to-be-University’ under Section 3 of University Grants Commission (UGC) Act, 1956 by a Notification dated 5 January 2005. The Deemed-to-be-University was formally inaugurated at Belur Math on 4 July 2005, the sacred day of Swami Vivekananda’s mahasamadhi. Ramakrishna Mission Vivekananda Educational and Research Institute (RKMVERI) is headquartered at Belur Math, Dist. 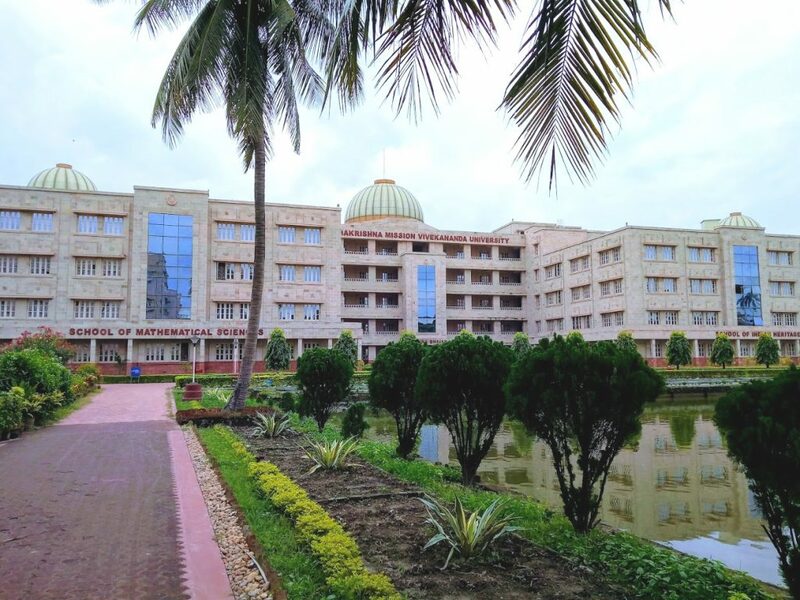 Howrah, West Bengal and mainly operates through its various ‘off-campus’ Faculty Centres located at the various branch-centres of Ramakrishna Mission in India and has as its ‘thrust areas’ certain unconventional areas. These ‘thrust areas’ are also ‘gap areas’ in the sense that they scarcely receive any attention in the conventional Universities in India. One such thrust area is ‘Integrated Rural Development and Tribal Development’, under which the present Faculty Centre at Ramakrishna Mission Ashrama, Narendrapur, West Bengal, has been started. One more centre devoted to this area is Ramakrishna Mission Ashrama, Ranchi, Jharkhand. Some of the other thrust areas chosen are: Disability Management and Special Education, Indian Cultural and Spiritual Heritage, and Disaster Management.